The Jesuit Frosh Marauders played a doubleheaders against the De La Salle Scorpions. De La Salle is from Concord. Talking to one of the De La Salle parents before the first game, he said that they had 70 boys go out for freshman baseball. They ended up drafting two teams of about 13. The Marauders played the Silver team. The parent also said he thought that this was the better team with more pitching. Jack started the first game in centerfield and batted second. At the plate, Jack was 1 for 3 with a single, a walk, reached on an error (3DK! ), a stolen base and a run scored. In his first at-bat, Jack struck out swinging on a 0 and 2 pitch, but the catcher misplayed the ball. Hustling down the line, Jack was safe at first on the dropped third strike. Jack went to second when Nick was hit by a pitch and then scored on Jared's double to left center. Jack grounded a 2 and 1 pitch to the left side in his second plate appearance and was thrown out at first. In his third at-bat, Jack ran the count full and drew a walk. He stole second and was thrown out at home on Nick's single. As best I can figure out, the coach sent him. In a good at-bat, Jack fell behind 1 and 2, fouled off two pitches and then lined a single into right field in his fourth plate appearance. He got picked off first base. 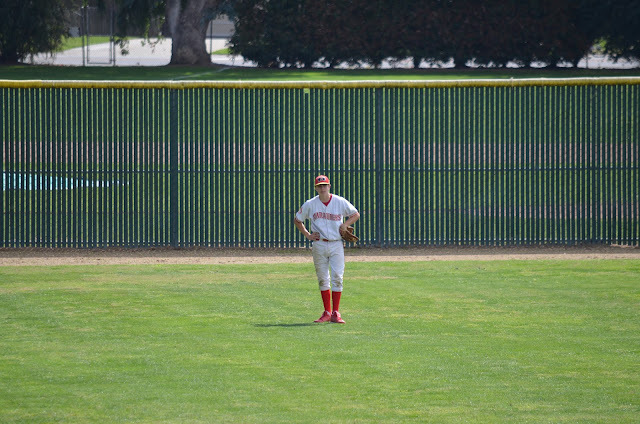 Playing centerfield for seven innings, Jack did not have a put-out or an assist. He made one diving attempt on a play hit into short left center. The Marauders scored four runs in the top of the first and never looked back. Iwasa (2-0/ERA 3.27) pitched five strong innings and got the win. The Marauders won the game by the score of 7 to 3. The box score is here and the scorecard is here. After a short break, the boys turned around and played the second game. Jack started in left field and lead off. At the plate, Jack was 1 for 2 with a single, a walk, a stolen base and a run scored. In his first at-bat, Jack walked on five pitches. He went to second when Jordan was hit by a pitch, to third when Nick walked and scored on Jared's double to right center. Jack popped a 0 and 1 pitch into right field for an out in his second plate appearance. In his third at-bat, Jack lined the first pitch into right field for a single. He stole second, but ended the inning there when Jordan struck out and Nick grounded out to short. Playing left field for four innings, Jack did not have a put-out or an assist. One of the batters for De La Salle hit a home run just barely over the fence in left field. Jack said after the game that he thought that he could have reached up and got it with just a little better jump. The Marauders scored 8 runs in the bottom of the 6th inning and won the game by the score of 15 to 3. Chiappe (2-0/ERA 2.69) was the winning pitcher. The box score is here and the scorecard is here. 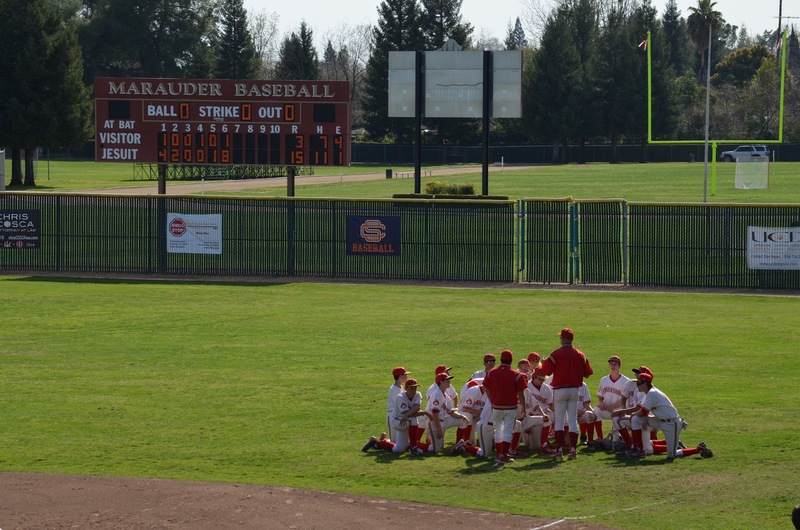 The Jesuit Frosh baseball team now has 5 wins and 3 losses. The game log is here. The Marauders have a rematch against St. Mary's on Tuesday afternoon.